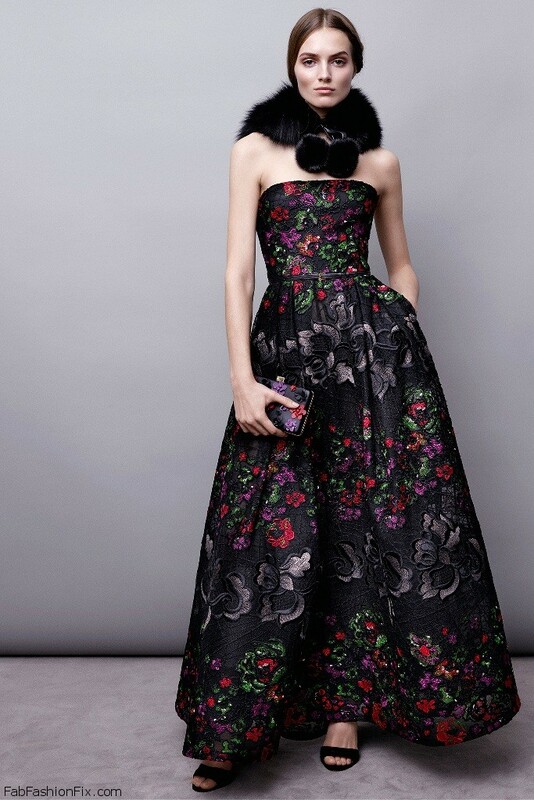 Lebanese fashion designer Elie Saab presented the lookbook for his new Pre-Fall 2015 collection. 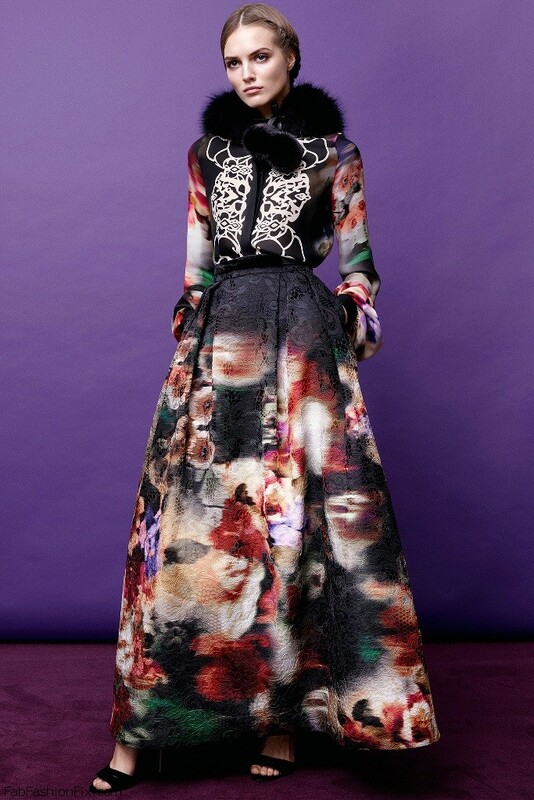 Entitled “Folk Reverie”, Saab brings some unexpected fabrics and motifs combined together with his signature black lace, delicate beads and floral embroideries. This time folk costume and its hand-worked embroidery infused the collection with rich colors, poetic motifs and a generous sense of volume and texture as a contemporary spirit transforms traditional motifs. 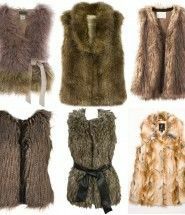 There was also lots of fox fur in colors like red, black and pale pink to accentuate the dramatic evening dresses.